The first cookery book I ever bought was the 1982 paperback edition of Poor Cook by Susan Campbell and Caroline Conran. It was on the recommendation of a friend who said she liked it because the recipes usually didn’t require a trip out to the shops with a list as long as your arm of ingredients. Since then, we’ve drifted away from that kind of cooking, so that now a trip out to buy ingredients is the norm, and cooking becomes a performance. Whipping up a batch of scones or making a cut-and-come-again cake shouldn’t warrant any drama so recipes which you can make from the contents of your cupboards are always going to be a comfort. The Apple Cake recipe in Great British Bakes is another such recipe – also egg-free, and proportional, so you can scale it to however many apples you have to hand. Which brings me to this week’s recipe. Aside from being moist, tender and delicious, this cake is great to have in your repertoire because it is made from store-cupboard staples, doesn’t require eggs and can easily be made both gluten and dairy free. It’s simple and straightforward, basically a 2-bowl recipe: mix wet, mix dry, mix together, put in tin, bake. If it has a down side, it’s the slow cooking time (1 hour), but if you’re anything like me, a 1 hour wait is a small price to pay for being able to avoid a trip out to the shops before you can treat yourself. I’ve made this recipe with a number of different flours from stone-ground wholemeal bread, through barley to gluten-free. The gluten-free version was extremely tender, to the point of crumbling when sliced. 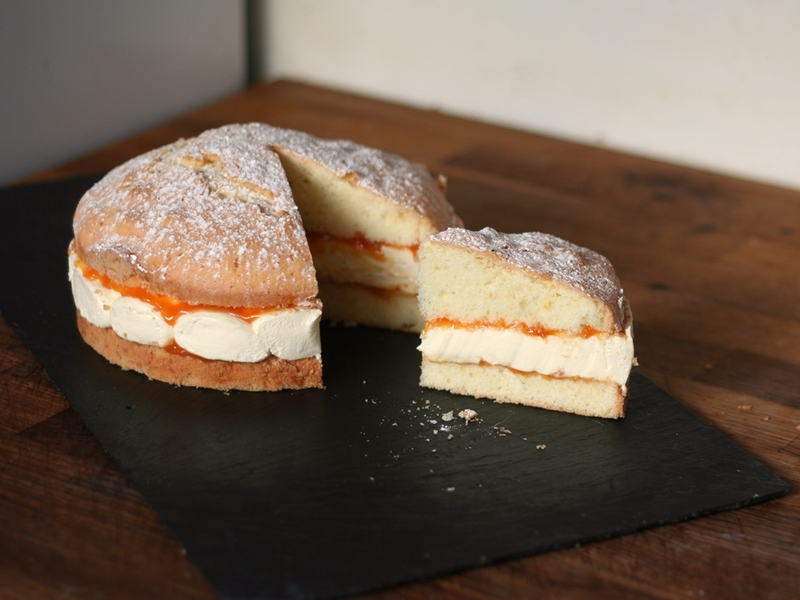 Nice, but a bit tricky to eat politely as a slice – crumbled into a bowl with cream or ice-cream, glorious! The wholemeal bread flour was firmer, but still much more tender and moist that your average fruit cake. Switch out the butter for coconut butter to make it dairy-free. You can vary the liquid and spices to suit your own personal tastes. The original recipe used all water and a mixture of cinnamon and cloves. I’ve substituted half of the liquid for rum and used mixed spice. Go with what you have/like. The aroma of this cake is fantastic, especially when warm from the oven. Put the first five ingredients into a small pan. Slowly bring to the boil, then remove from heat, cover and leave to cool for at least one hour. Mix the remaining four ingredients in a bowl and set aside. Once the fruit mixture has cooled, heat the oven to 130°C, 110°C Fan. Grease and line a 1kg loaf tin with baking parchment. Fold the dry ingredients into the cooled fruit mixture, then pour into the loaf tin. It should almost fill the tin, but there’s little rise during baking. Bake for 1 hour, turning the tin around after 40 minutes to ensure even baking. Store in your cake tin, wrapped in foil. These biscuits are delicious! Crunchy, chocolatey, rich and rounded caramel flavour, they are light and crisp and decidedly moreish. They are, perhaps a little surprisingly, also free from gluten and dairy products. I made these for a friend who has dietary restrictions and have such a wonderful texture and taste, I didn’t want to label them as “allergy only”, since this tag can be offputting. These biscuits are everything you’d want in a biscuit, they just happen to be gluten and dairy free. My own priority as regards recipes and food in general, is flavour; how a dish tastes. Which is probably why my presentation has a tendency to veer towards the C-minus-could-do-better grade. (I’m working on it!) If a dish tastes good, you can always improve the appearance to make it look attractive, but if it tastes mediocre or bland, then all the bells and whistles in the world aren’t going to make it a success. Apart from being common sense, this attitude probably stems from an experience I had, back in the mists of time, whilst backpacking in Nepal. (Bit of a crunching of the gears, topic-wise there, but try to keep up.) Kathmandu used to be something of a culinary beacon in the old overland backpacking route, since after months of rice and dal, weary travellers were treated to shimmering visions of mile high cakes and gateaux and froths of pie confections to entice the palate. Whilst in Pokhara, I was tempted by a stunning display in a tea shop and opted for a slice of their magnificent layered cake. Alas, the analogy of a mirage proved all too accurate, since it turned out to be all style and no substance. Sawdust-textured cake and greasy buttercream, it was as if someone had made it from a picture, with no reference to how it was supposed to taste. Quite possibly, this is exactly what happened. It served to emphasise to me, the importance of taste. It’s food, not art. It all looks the same in your stomach. So make the effort with taste, not appearance. OK, maybe make a little effort with appearance; we’re not completely uncivilised. For the batch of biscuits in the photo I used dairy-free chocolate chips I found online, but I have also made these by chopping up the dairy-free chocolate bars (see pic below) I found in Morrisons (also available in Sainsbury’s and Waitrose). 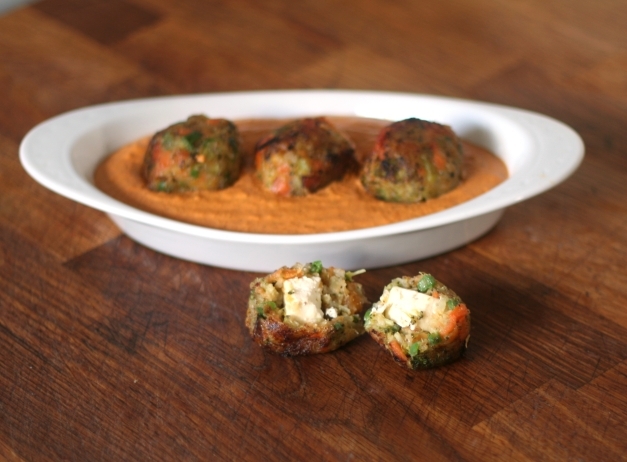 This recipe has been adapted from Alton Brown’s Good Eats recipe, to make it dairy-free and suitable for use with ingredients available in the UK. I like the dark, caramel flavour that the sugars bring, but if you prefer a more delicate flavour, change the dark brown sugar to soft, light brown. In a medium bowl, sift together the flours, salt and bicarbonate of soda. Set aside. Melt the coconut butter in a heavy-bottom saucepan over low heat. Once melted, pour into a bowl. Add both of the sugars and whisk together for 1 minute. Slowly incorporate the flour mixture until thoroughly combined. Chill the dough in the refrigerator for 1 hour until firm. Shape the dough into 30g balls. An ice-cream scoop can help. Mine has a diameter of 4cm and makes a perfect 30g hemisphere of dough. If your scoop is large, just cut each ‘scoop’ in half and roll each piece into a ball. Chill again in the fridge for 15 minutes of so, to firm up. This will help keep them from spreading too much. Place on parchment-lined baking trays, 8 per pan. On a half-sheet (30cm x 45cm) pan, I set them out in a 3-2-3 formation. The cooked biscuits are approximately 10cm in diameter, so you want a decent 3cm space all around the ball of dough to allow for spreading during baking. Bake for 10 minutes, rotating the trays after 5 minutes to ensure even baking. If you’re baking 2 trays at a time, be sure to swap the baking trays between shelves as well as rotate them. If you like your biscuits chewy, you should try a test bake with just once biscuit and a shorter cooking time. Remember to allow to cool before you taste as they do crisp up when cold. Remove from the oven and allow the biscuits to cool on the baking trays for 5 minutes to firm up. Move the biscuits to a wire rack and cool completely.